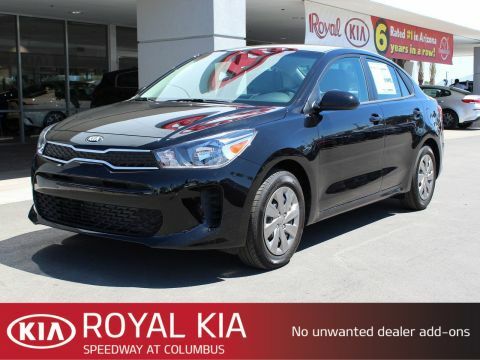 Meet the category shattering 2019 Kia Rio. The 2019 Rio reinvents practicality without compromising on style. The result is a car that is sleeker and longer, with a wider stance and geometric surfaces. The next-generation of Rio is more than your everyday car, its sophisticated style in a subcompact form. The cabin is full of amenities that are in all the right places. Like the redesigned center console with additional storage room, and the modern floating display that fits a larger screen while preserving the interior's clean lines and airy flow. 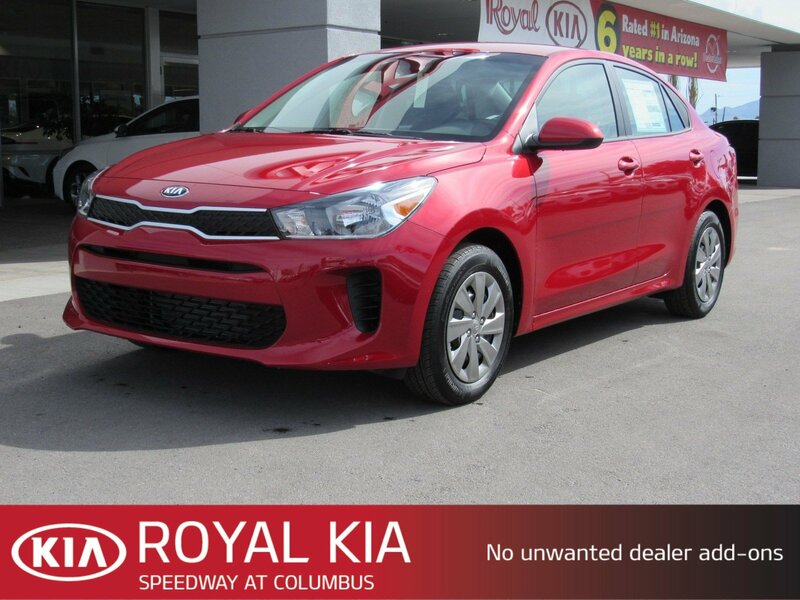 Great features and creature comforts are still waiting to be found on this 2019 Currant Red Rio S. These features are highlighted by Steel Wheels, Heated Mirrors, Automatic Headlights, Steering Wheel Audio Controls, Auxiliary Audio Input, Power Windows, Comfy Cloth Seats, Smart Device Integration, Rear Parking Aid, and a Back-Up Camera.Benefits at Royal: Non-commission consultants, 72 hr buy back policy, no fuzzy math & no pressure to buy before you are ready. You will get a highly competitive price without any of the dealership negotiation games. 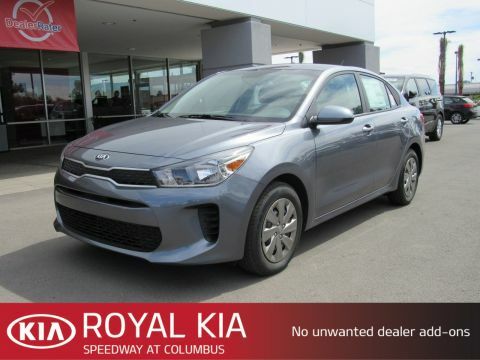 Read what other shoppers think of Royal by visiting www.dealerrater.comPlease visit us today at the corner of Speedway and Columbus to see how much more you may qualify for.